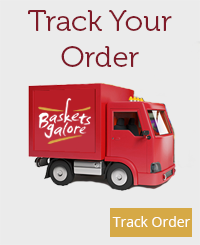 EMAIL - Send an email to corporate@basketsgalore.co.uk and we will respond within the hour. Yes, we do. We're happy to report that we serve the gift requirements of thousands of international clients around the globe. We accept all international credit cards. We accept payment via the following methods: Amex, Visa, MasterCard Debit and Credit Cards, Switch (Maestro), Bank Transfer, Cheque and Banker’s Draft made payable to ‘Basketsgalore Ltd.